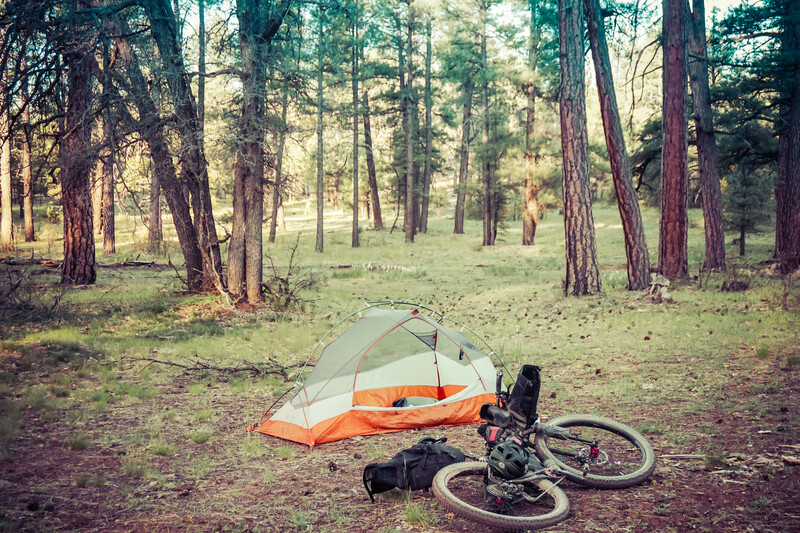 In October 2015, I attempted to ride the Coconino 250 in 3 days. On day one, we made it to the 1st stage stop just after 1pm and continued to push on through Sedona, hoping to camp on the Lime Kiln Trail. 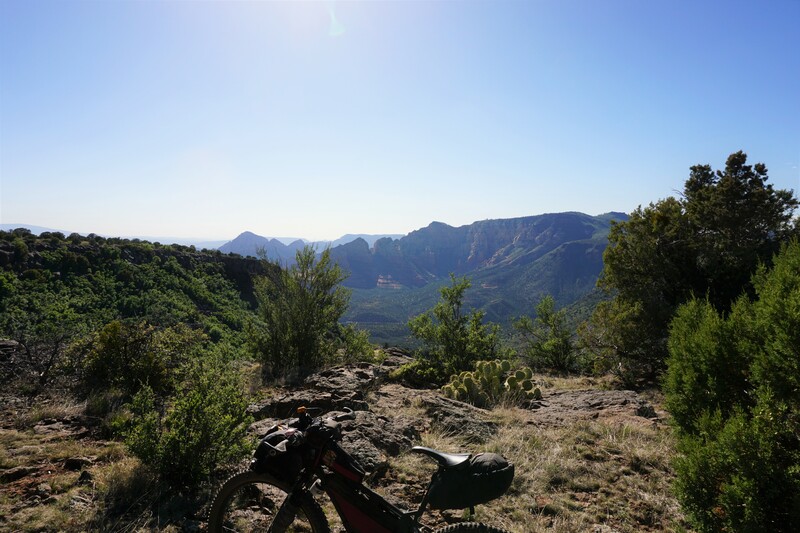 While riding Templeton Trail in Sedona, my SPOT tracker bounced off my pack, beginning the downward spiral. 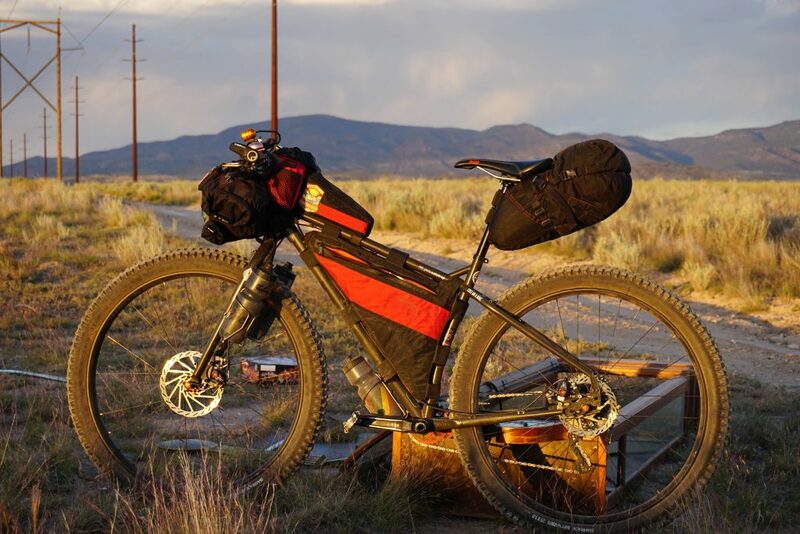 I had to back track to look for it, then it was found and returned, but the whole night of riding, and my eating and drinking regimen were thrown off by the mishap. The next day I woke up and did all I could to consume as much food and water as possible, but I couldn’t catch up from the deficit. 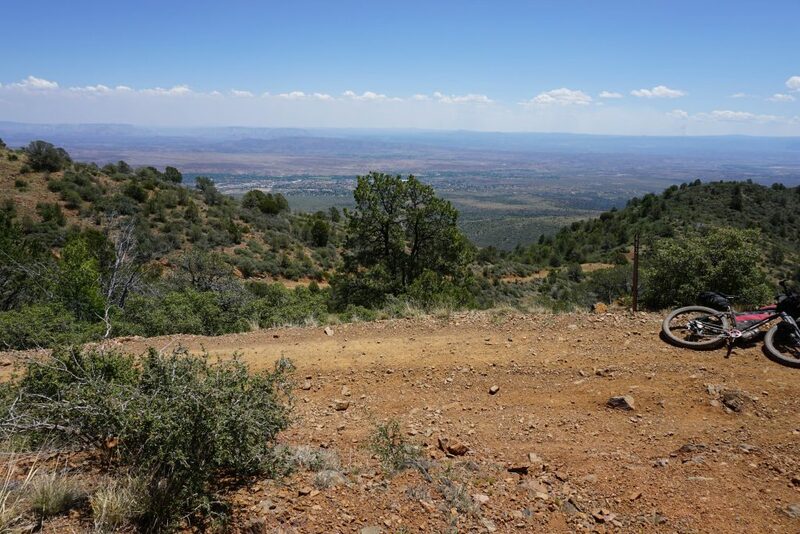 After topping out on Mingus Mountain, I rode home and lived to ride another day. In May 2016, things worked out at home where my wife and kids would all be gone for the long Memorial day weekend. The weather looked perfect, so I loaded up the bike Thursday night, and rode to work Friday, ready to roll out at 5pm sharp. When I left work, I still had to grab a sandwich and some other food. After a few stops, I was on the Peavine gravel, headed to join in on the Coconino 250 route at the electrical substation on 318a. An easy ride through the Dells is always a nice way to start a big weekend. I ate half my sandwich on the way to the dirt road north of Coyote Springs. 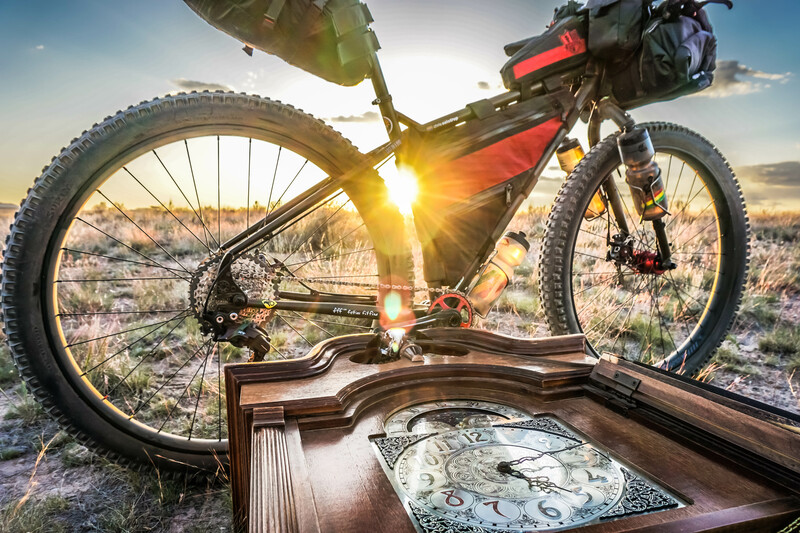 Just outside of the ranch land, I came across a clock that had been dumped and destroyed. It was the perfect omen for the weekend. Time to ride. 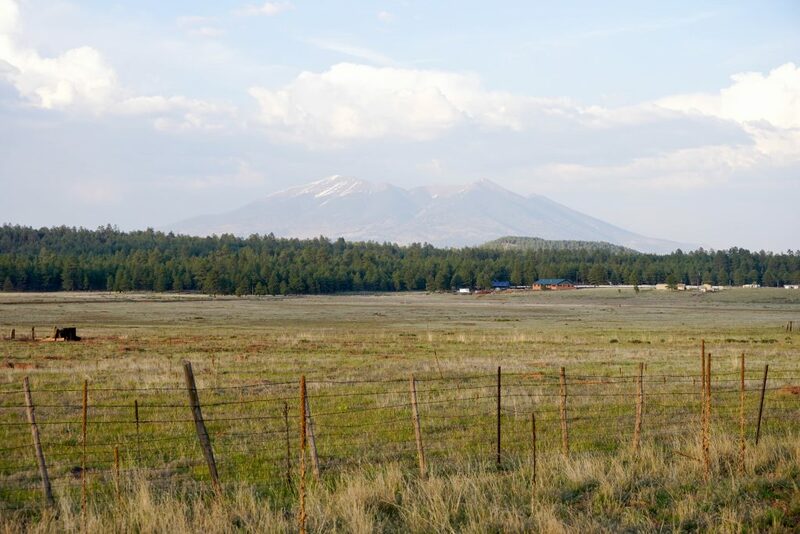 The familiar power line road heads towards the North end of Mingus Mountain. The last bit of light in the sky as I look back towards Prescott. I made it to Perkinsville Road shortly after dark. I knew I had a high speed 8 mile descent coming up, so I finished my sandwich while I put on my layers. 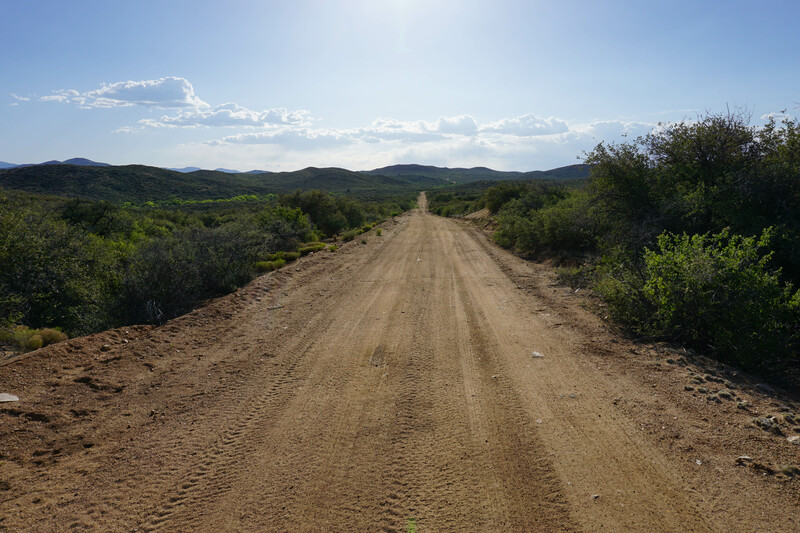 I blasted down the gravel road until I hit the Verde River. 42 miles into the ride, this was the only water source until I would hit Williams at lunch the next day. Time to bust out the filter. I drank my fill of water and pedaled on. The next 16 miles were almost all climbing. Since I had ridden this section in the heat of the day on two separate occasions, it was nice to do it in the cool of night for a change. The climbing wasn’t easy, but it was far more pleasant in the dark. As the night rolled on, I had to dig deep to stay motivated. 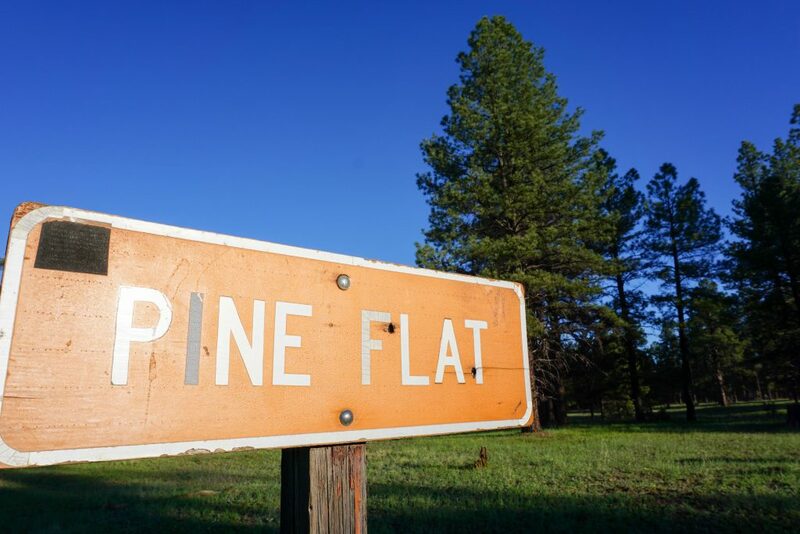 I wanted to make it to Pine Flat before setting up camp. 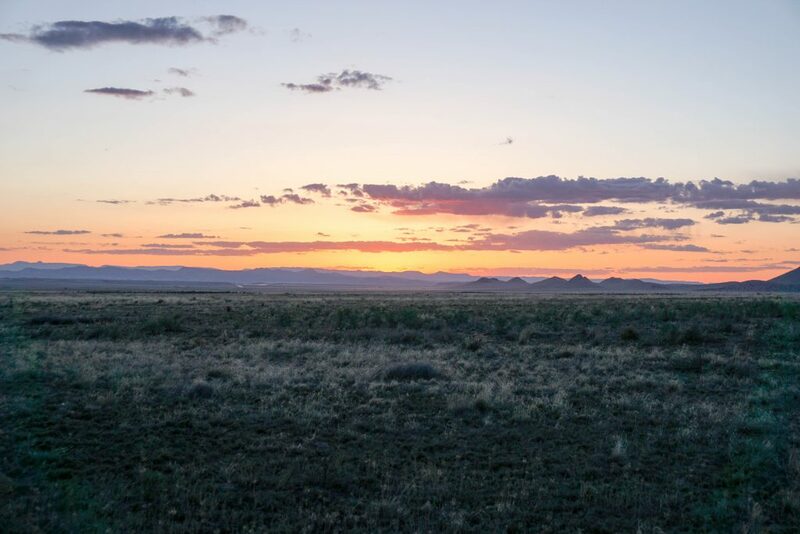 Every flat spot I found looked more and more like the perfect camp site, the only thing keeping me going was knowing that the farther I made it that night, the closer I’d be to the foot of Bill Williams Mountain when I woke up. 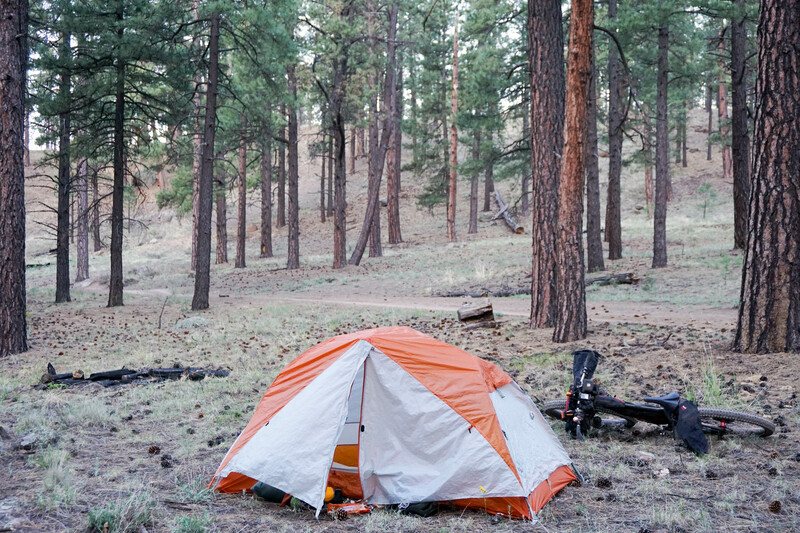 After climbing almost 2700′ from the river, I made it to camp around 1am. 60 miles, 4500′ of climbing. It was cold, so I set up camp and quickly got under my down quilt. I slept for about 4 hours and was back on the road by 6:20am. I love the Pine Flat area because of the grassy fields and Pine trees dispersed throughout. Back on Perkinsville Road, I was headed towards Williams. This was the short, sweet break before reaching the Base of Bill Williams Mountain. Benham Trail, Trail 21 on the sign, would be my route up the mountain. I was glad to get this out of the way early. The last time I was here, I was pushing the bike up the mountain in the dark. This time it was a bit easier, riding most of it in the cool of the morning. When I made it to the top, I enjoyed a small lunch snack. I was eager to head back down into Williams to get some real food. 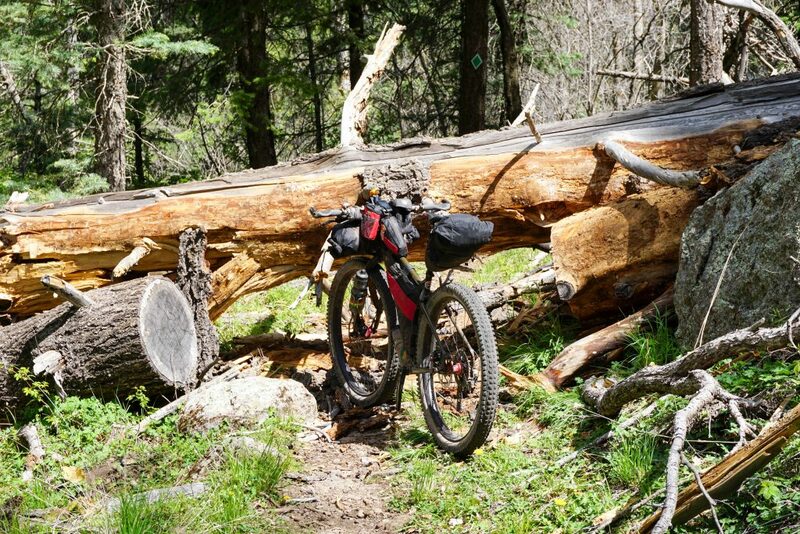 The steep descent was foiled by enormous downed trees. It was pretty tough hoisting a fully loaded rig over the debris piles. I made it to Williams in perfect time for lunch. I stopped and ate a BBQ pork sandwich and fries and took the opportunity to lay my camping gear out to dry. When I was done eating, I packed up and headed to the closest gas station to fill up on snacks and water. As I pulled into the parking lot, two female bikepackers from Colorado pulled in from the other side. 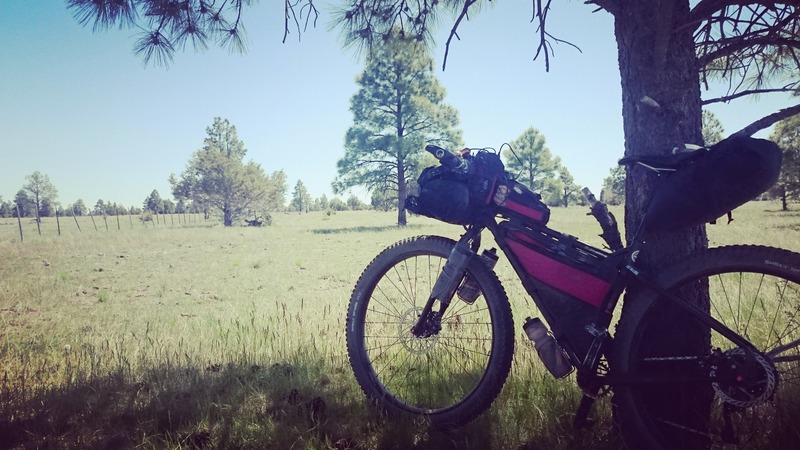 They were riding the Coconino 250 route starting from Flagstaff and were headed towards their last night of camping and a finish the next morning. 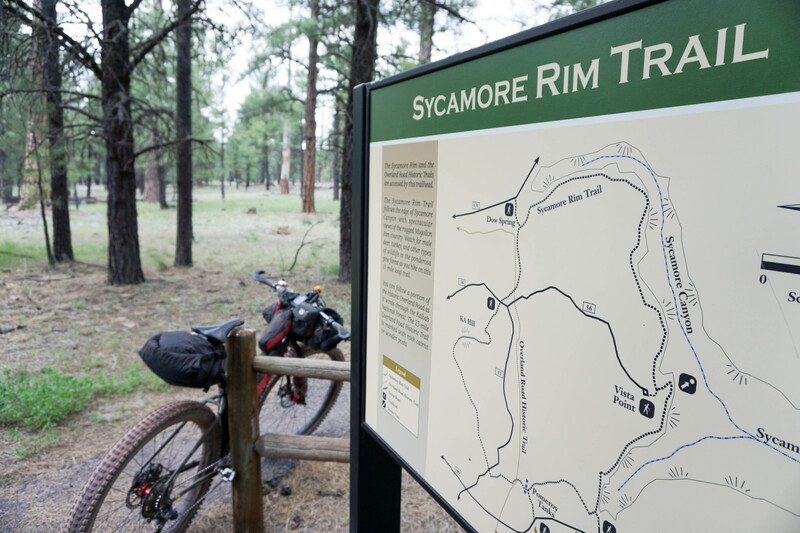 I was full and restocked and headed towards the Sycamore Rim Trail. 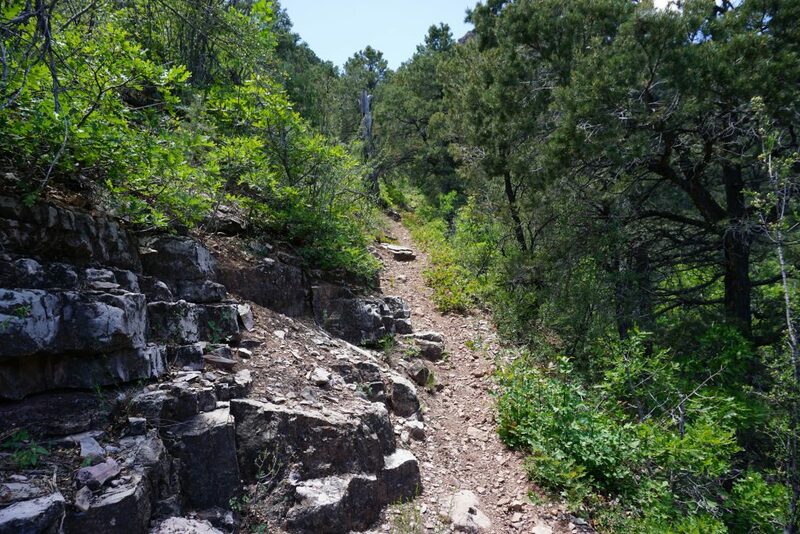 The trail is rough, slow, and rocky, especially hard to deal with when the scenery is this amazing. 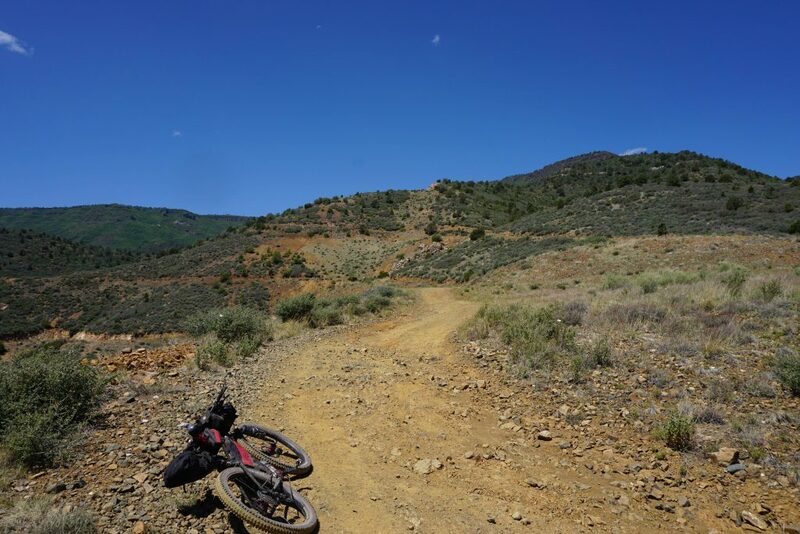 I managed to wander off route briefly, and on the way back to the trail, I wedged my front tire between two rocks perfectly to put a nick in the side wall. Stan’s was spraying as the Pro Sealant chunks tried to fill the hole. Finally it stopped leaking and I kept on. The next section was pretty flat on gravel roads, so I let the seal settle for a bit before adding more air. I was heading towards the San Fransisco Peaks and Snowbowl. I back tracked a little when I got to Parks, I really wanted a break, and a hot sandwich. While I was eating a snack, the girls from Colorado caught up with me, but were quickly on their way as they were trying to make camp before dark. I knew I would be riding well into the night again and wanted a hot meal before the next big climb. Some parts get steep. It got dark pretty quick after dinner. As I was making my way up the road in the dark, I was watching my GPS closely so I wouldn’t miss my turn. When I got close, it appeared there were some people camping at the turnoff. I slowed down and they started talking to me. “Yes I am,” I replied, breathing heavily. They proceeded to ask me a million questions, never letting me finish a sentence. They were probably in their early 20’s and couldn’t believe I was out there, riding into the darkness, just because I could. Then I asked if they had seen the two females I had run into earlier. They said no, but I told them to keep an eye out in the morning. They were especially surprised when I refused taking anything at all from them. I was trying to explain the self sustained rules, and told them I was prepared for what lie ahead, and we bid our farewells. Next up, I got to ride the bobsled moto trails. Smooth high speed banked and bermed trails with plenty of light from the dynamo hub. One last climb to Snowbowl, and it was downhill all the way to Flagstaff. 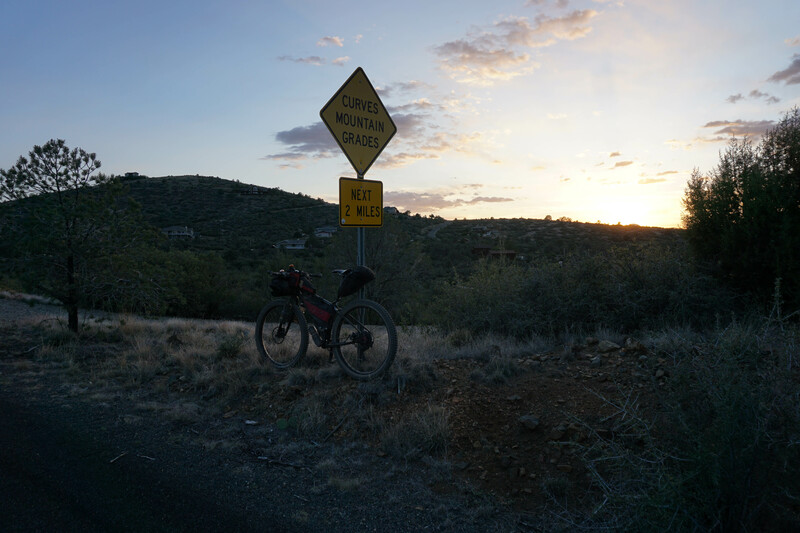 I made it down the Arizona Trail all the way to the outskirts of town by 1am. 90 miles, 7500′ of climbing. Alarm was set for 5, back on the trail at 6:20, it was too cold to get up. It was a frigid ride into town as the sun hadn’t hit me yet. 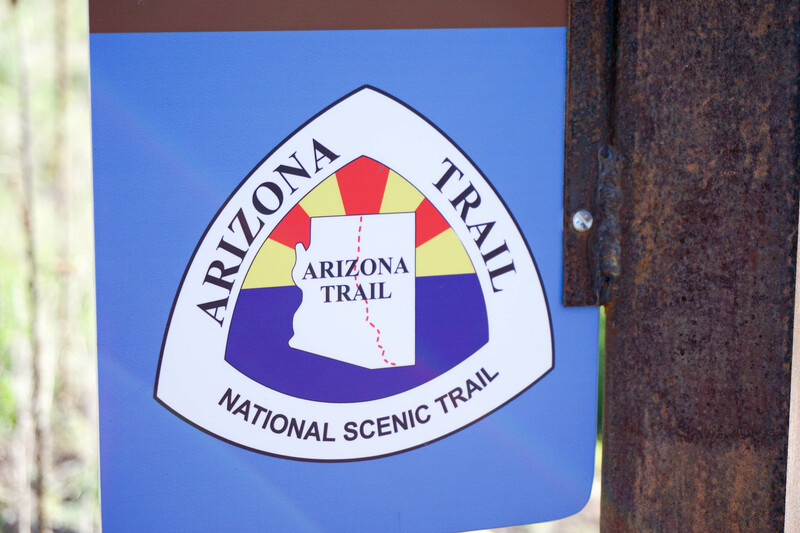 After a huge breakfast at The Place, and a refill at the gas station, I was back on the Arizona Trail. The climb up to Fisher Point had plenty of hike-a-bike to slow down the morning. Once at the top, there is a great view of Lake Mary. Anderson Mesa is pretty flat. I stopped at the campground near Lake Mary to refill water. 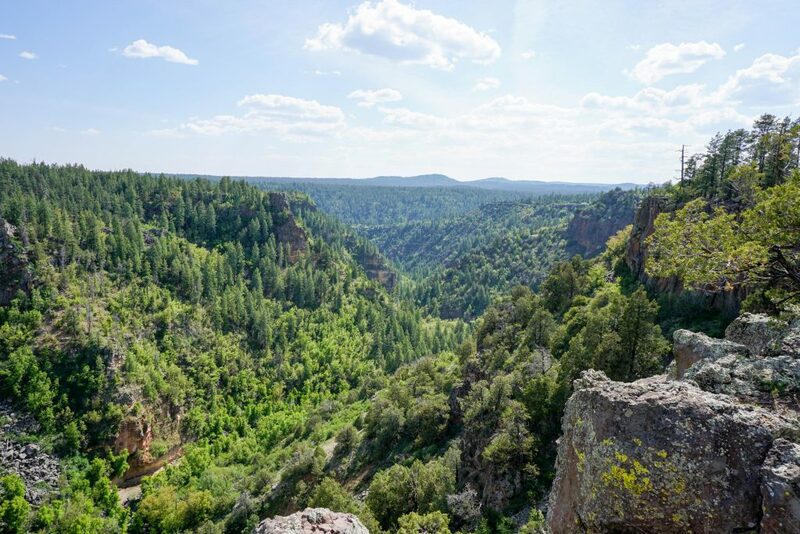 I was only carrying three bottles so I had to refill wherever I could and it was going to be a warm day dropping down into Sedona. 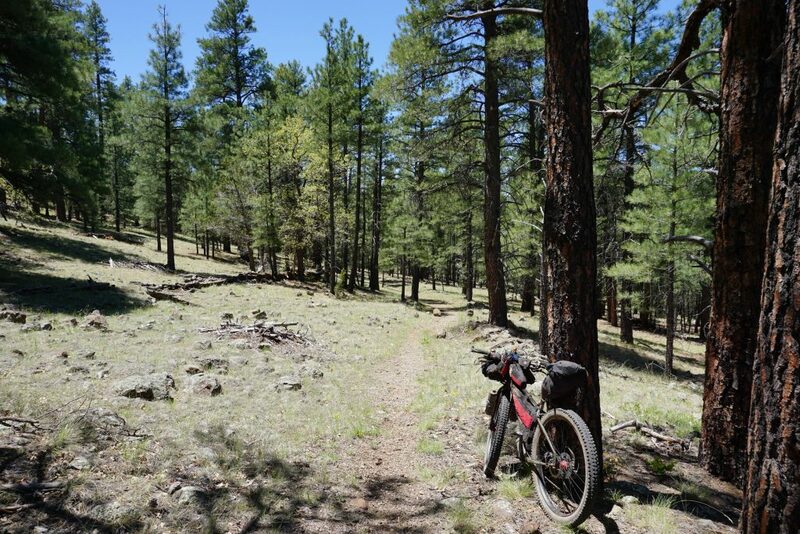 After dunking my arm coolers and cap in the water, I was ready to head towards I-17 on some easy singletrack. 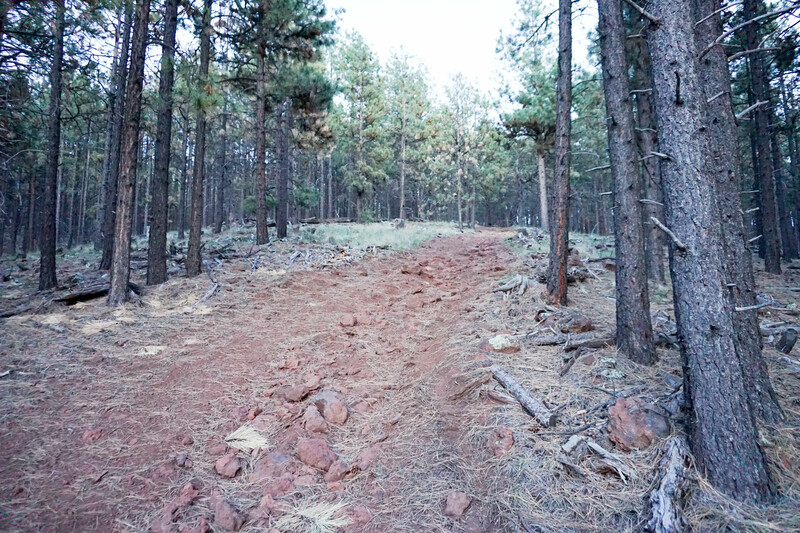 The singletrack lead to cinder roads where it seemed like every side by side in Arizona were all out at the same time. At one point a USFS worker gave me a thumbs up because I was the only non-motorized person he had seen all day. There were so many side by sides flying by it was hard to breathe. 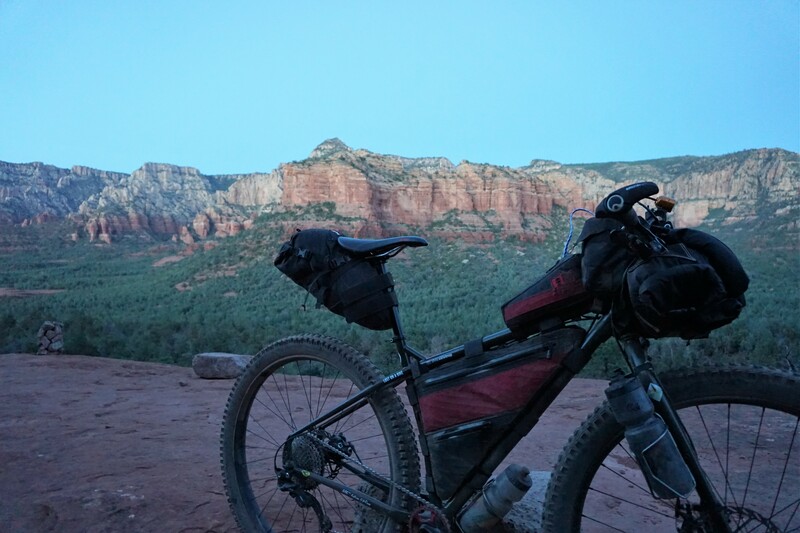 I stopped again for water at the ADOT at Schnebley Hill Rd and I-17 before making it to the rim above Sedona. I rode down Munds Wagon Trail and stopped at Javelina Cantina for some food. My battery powered headlamp was close to dead, but for some reason my charging cable wasn’t charging it. I needed to get a new one, so I ran into the gas station to see what they had. Luckily, they had a few micro USB cables left and my light could charge. I am sure I stunk up the whole cantina while I scarfed down my fajitas. As I was eating, a man approached me to ask about my cycling jersey. He asked where I bought it and I explained they were my own and for sale. The next week, he ordered 2. By the time I finally got back on the bike, daylight was fading fast. Mingus Mountain still blocks the sun early in May. 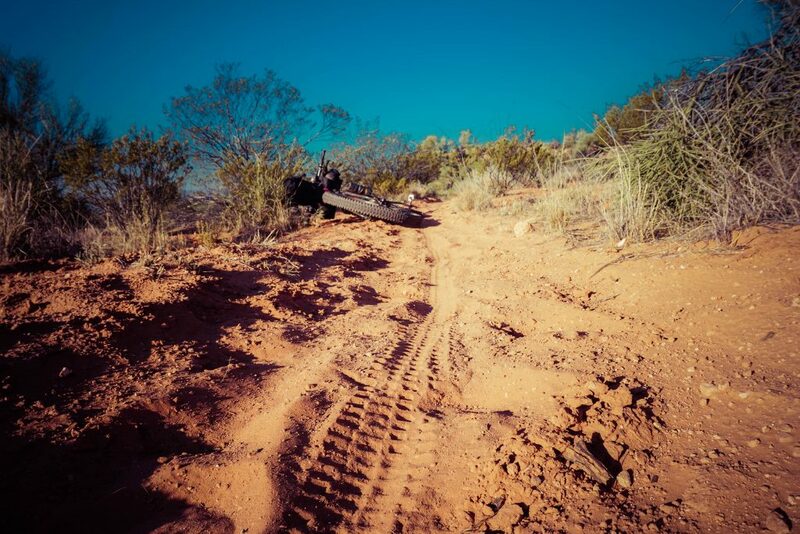 Broken Arrow would be the last trail I would ride in the light. It was looking pretty dark at Chicken Point. Time to run the dynamo light as long as I could, to let the battery powered light charge. Close to 30 miles to go. Those 30 miles were rough, all I could think was, the farther I get tonight, the earlier I finish tomorrow. Riding with the dynamo light was good motivation to move fast since the faster I rode, the brighter the light was. 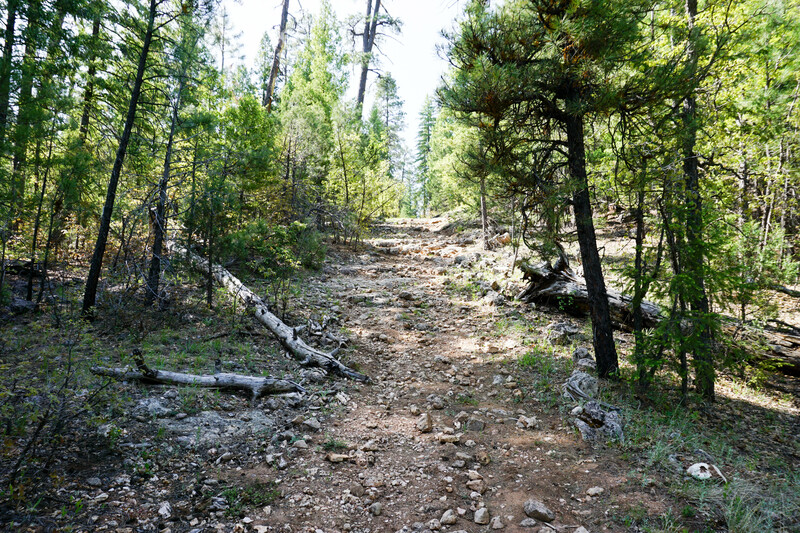 The goal I had in mind was to get to the middle of the Lime Kiln Trail. When I made it to Templeton Trail, the headlamp was fully charged and immediately strapped to my helmet. I breathed a sigh of relief when I saw my SPOT was still attached at the point where I had lost it in October the year before. 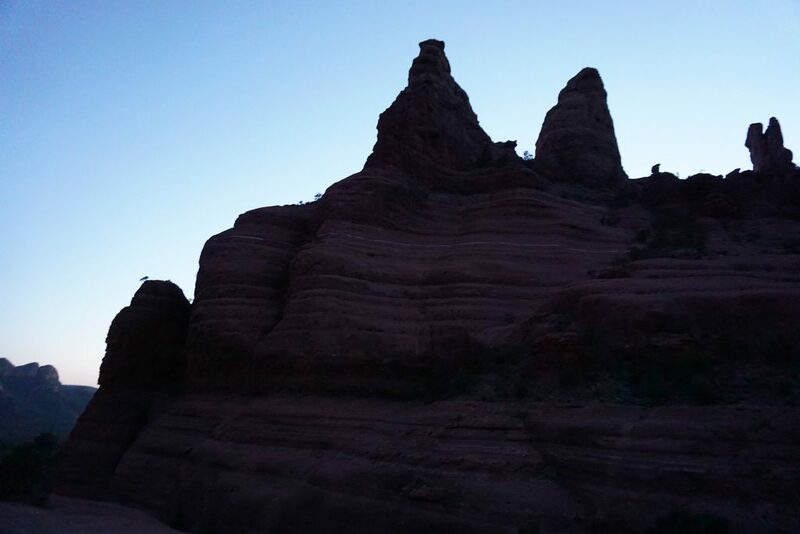 When I entered Red Rock State Park, I knew I was nearing the last trail of the night. From the Sedona side, the Lime Kiln Trail climbs up and down some pretty rough and rocky terrain. On and off the bike to walk what I couldn’t ride, on and off with the layers as I was trying to regulate body heat while the air temps dropped. When I went under 89A, I was on the home stretch. Hard to follow singletrack, old dirt roads, and deep sand make the Lime Kiln Trail especially fun in the dark. 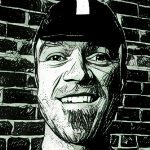 92 miles, 6200′ of climbing, I called it a night around 1:30AM. The next morning I was up early and ready to battle Mingus, back on the trail at 6:12am. The demon of the day would be the ride up, and around the south end of the mountain in the distance. 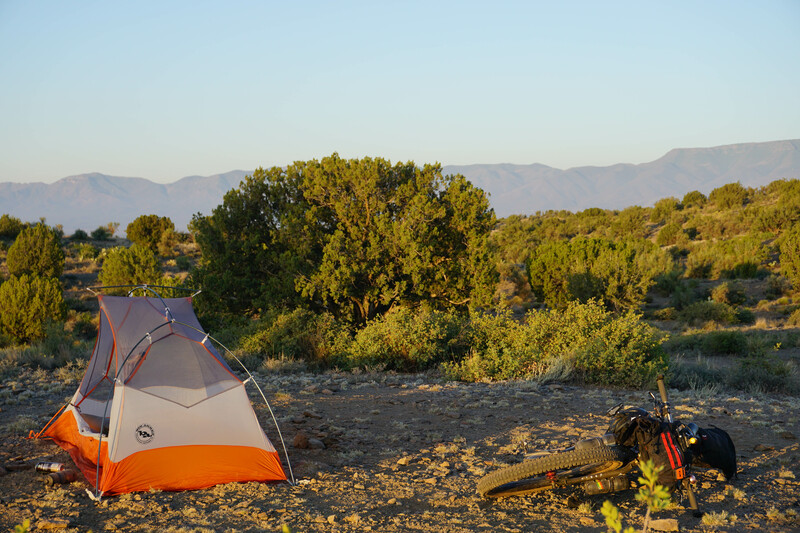 The sand on the way to Dead Horse Ranch was no match for the 3″ wide Dirt Wizards. The “No Motor Vehicles” sign marks the entrance to the state park. 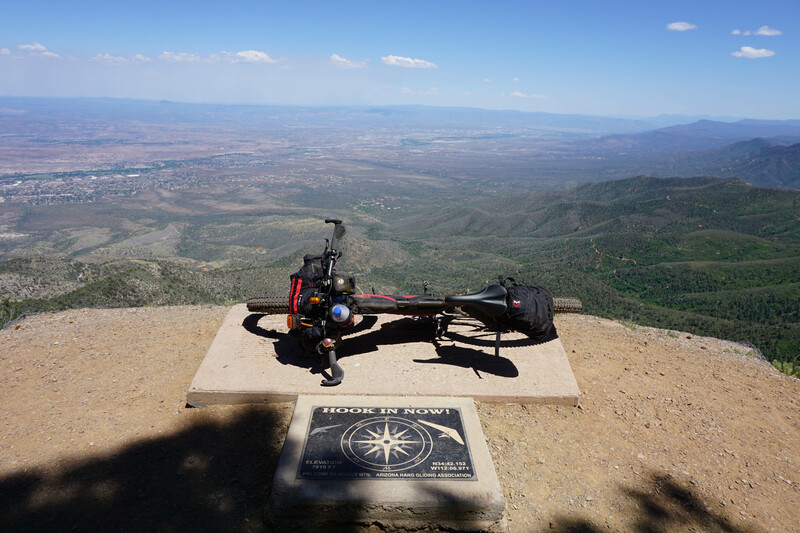 I ate the better part of two giant breakfast quesadillas in Cottonwood, refilled food and extra water at the Maverick station, and I was on my way up, way up. 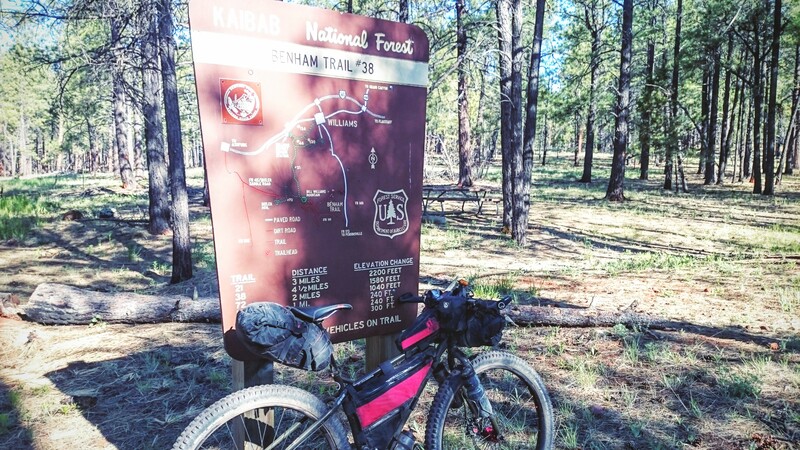 4200′ of climbing in 10 miles. The steeper it got, the looser and bigger the rocks. 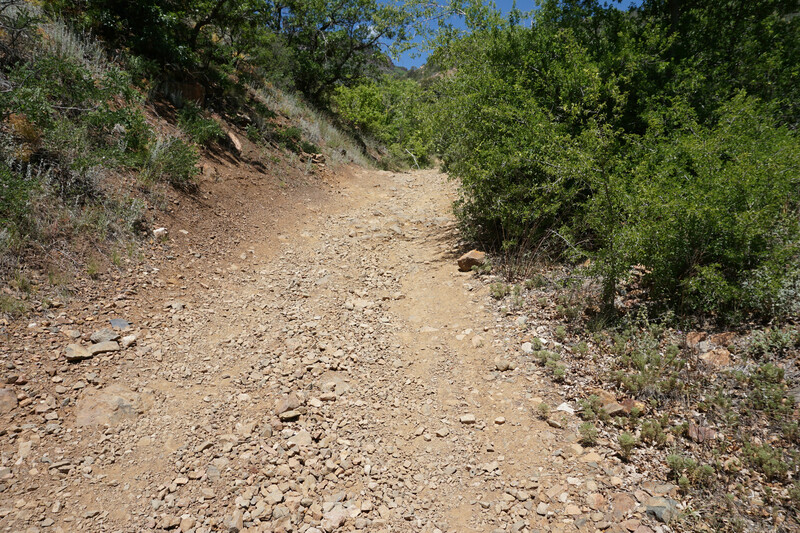 To stay motivated, all I had to do was look down hill. Finally there was a break for a few miles, still uphill, but it was so gradual compared to the road behind it felt like I was going downhill. The fun didn’t last for long, next up was a rarely ridden section of trail so steep I couldn’t ride the bike at all for a couple miles. 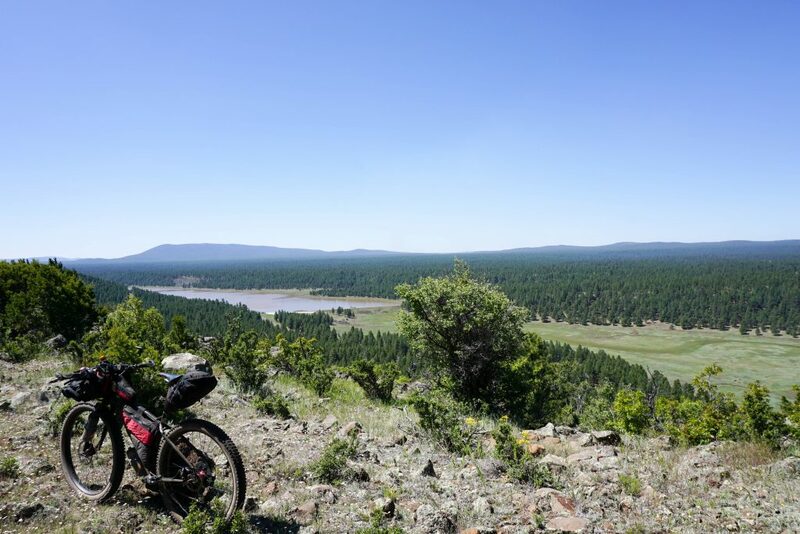 At some points it got so steep I had to plant my feet and push the handlebars almost straight up, clamp the brakes, step up with both feet, push up the bike, and repeat until my arms could hardly push any more. So much fun, I don’t think I’ll take this route a 4th time. The bypass is far more enjoyable. At the top, I found my friend Chris Pekham waiting for me. He had been watching my SPOT tracker all weekend and came out to ride with me for a bit. We stopped at the hang glider launch so I could appreciate all the climbing I had just completed. 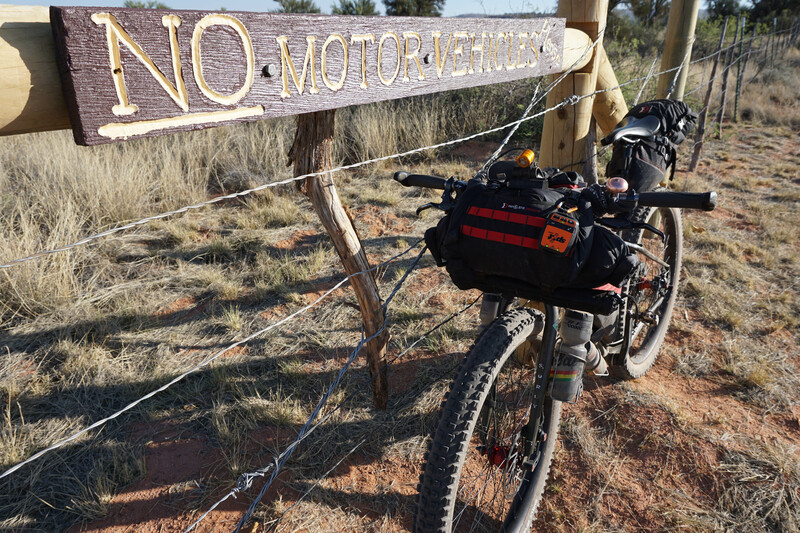 From there, the Coconino 250 rides down some really amazing singletrack, then meets up with a powerline road that leads to the substation I had passed on Friday night. I was aiming to make more of a loop and less of a lollipop out of my route, so I skipped the singletrack and rode out to Cherry. 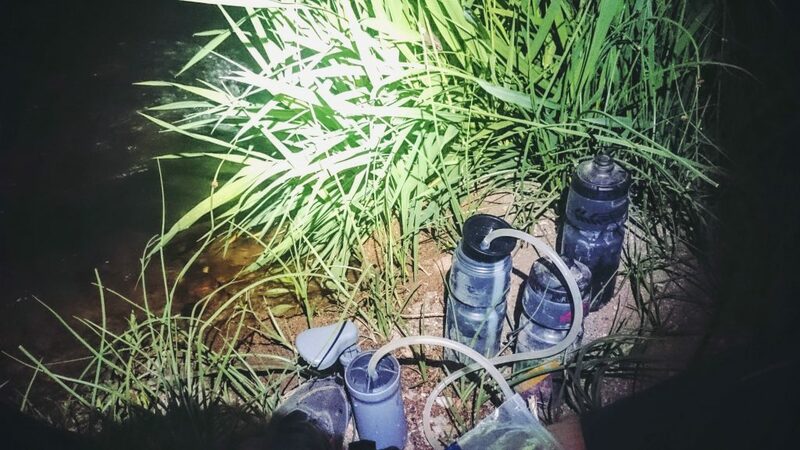 Several more ups and downs, and lots more miles to a water refill. I was conserving water now, taking sips every mile or so. The climb up from Cottonwood left me exhausted and parched with no shade to be found. Finally I made it to Mayer where I could quench my thirst and eat some salty chips. 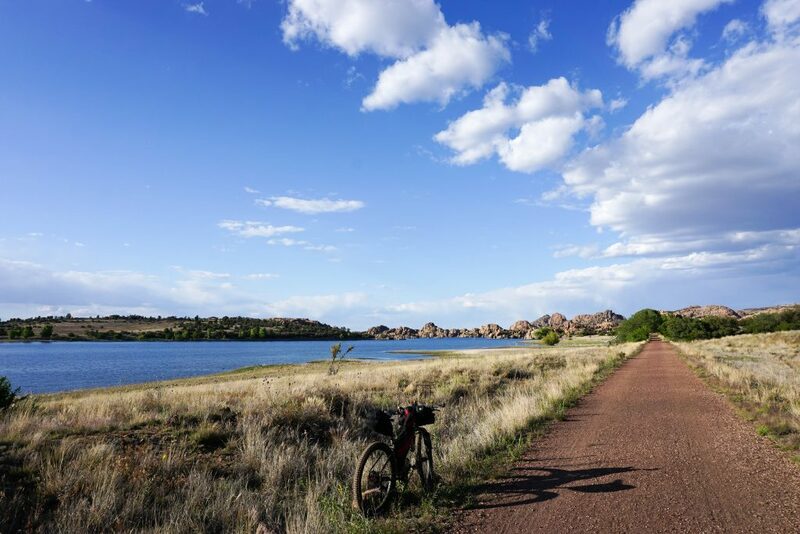 I chugged down a Coke for that last bit of energy to get back to Prescott. Old Black Canyon Highway made a nice gravel alternative to Highway 69. The sun was setting as I headed to Park Plaza for dinner with Chris to celebrate the adventure. 67 miles, 7800′ of climbing for the day. 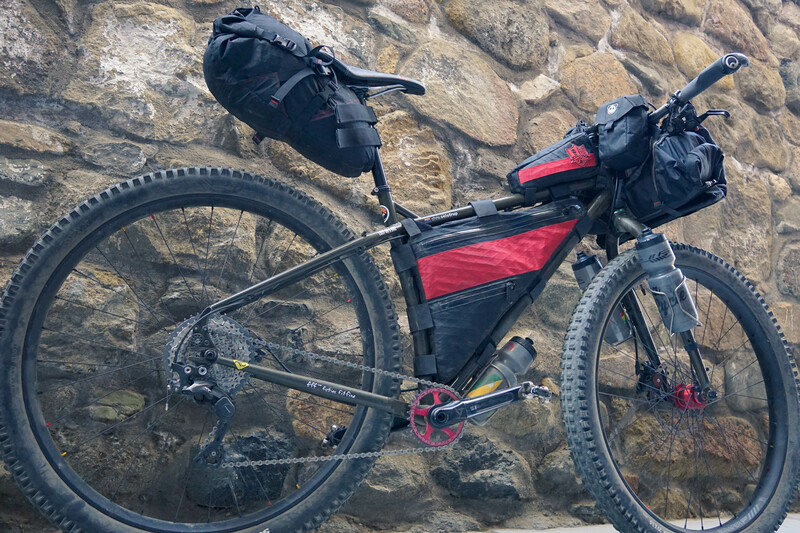 4 days, 309 miles, 26000′ gain, 12 hours of sleep.